Sometimes, you just can’t win. John’s been complaining that it’s been a long time since I made mashed potatoes. So I went out and bought a big bag of them and made three different potato dishes in a week. Now, he’s complaining that we are having it too often. See what I mean? It’s either not enough or too much. I guess, in a way, I did go a bit nuts with potatoes. We were supposed to have them again last night, but I had an extreme recipe fail. The kind where you ruin a pot….but let’s talk about recipe successes instead. 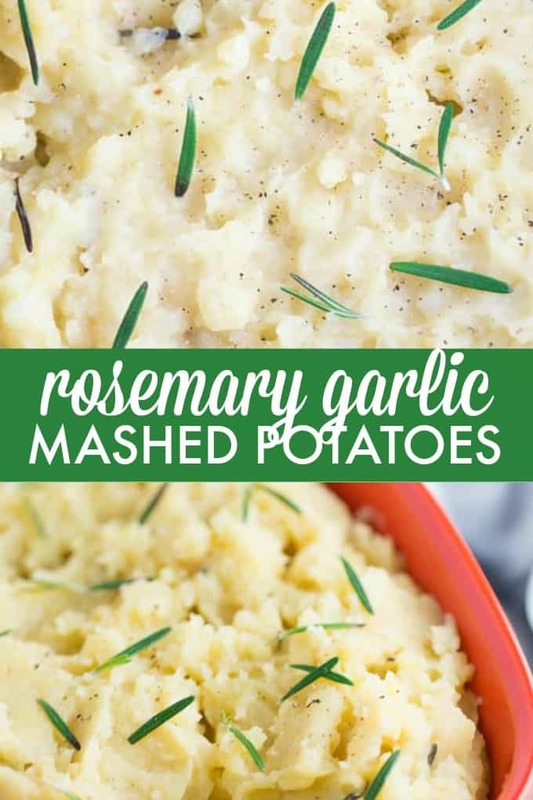 These Slow Cooker Rosemary Garlic Mashed Potatoes were yummy and no pots were harmed during the preparations. I love using the slow cooker to make potatoes. It takes a bit longer to cook, but requires barely any effort on your part. All you have to do is get the ingredients in the slow cooker and set it to cook. After a few hours, mash it up and dinner is served. Easy! I often add garlic to my mashed potatoes. This time around, I added some fresh rosemary. We had a bunch leftover in the fridge from another recipe I was making. It turned out beautifully. 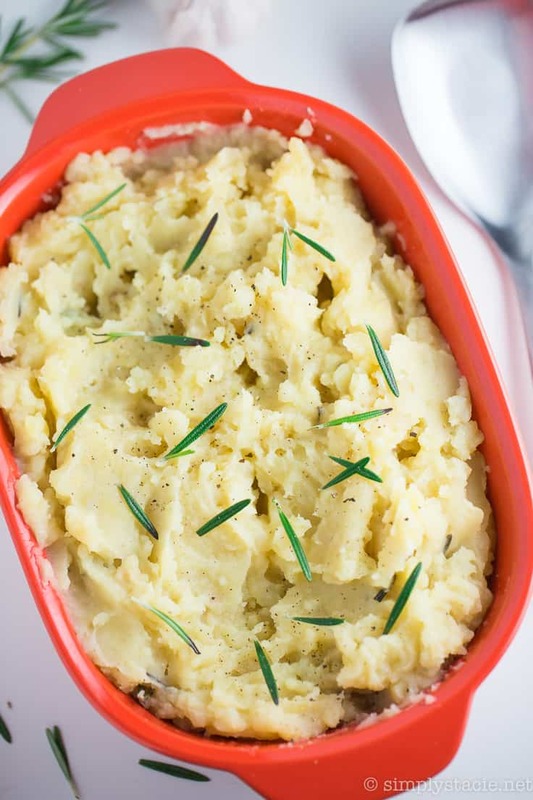 Garlic and rosemary are a match made in potato heaven. If you don’t want to make the recipe in your slow cooker, you can also do it on the stove top. Cook the potatoes like you normally would and at the end, add all the ingredients minus the chicken broth. Whip or mash and serve. 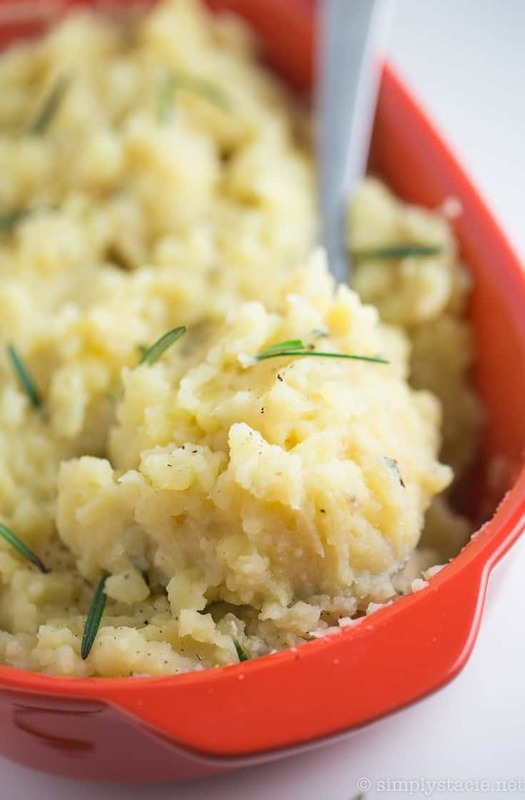 Have you ever made mashed potatoes in your slow cooker? 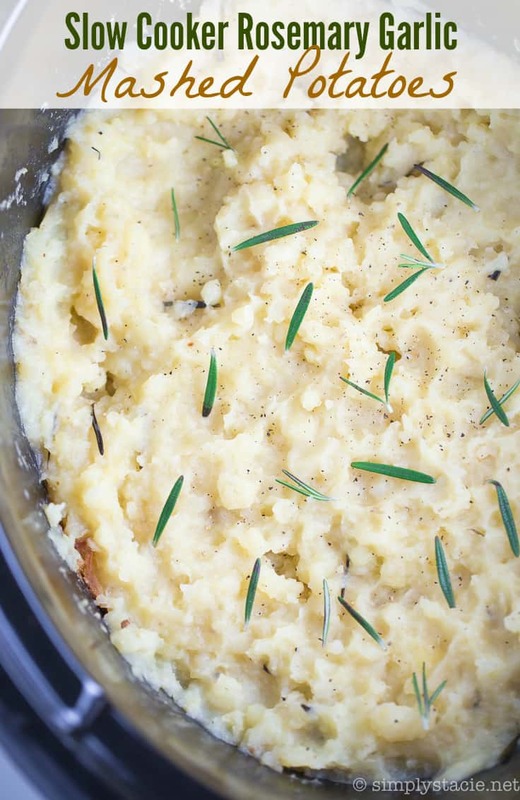 The best way to make mashed potatoes! 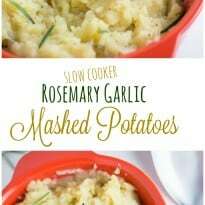 These Slow Cooker Rosemary Garlic Mashed Potatoes are made with fresh rosemary, garlic cloves and ready in 3 hours. Add potatoes to the slow cooker. Top with butter, garlic, rosemary, chicken broth and salt and pepper. Cover and cook on high for 3 hours. Turn off slow cooker. Remove lid and add milk. Mash with a potato masher until desired consistency. Serve hot. 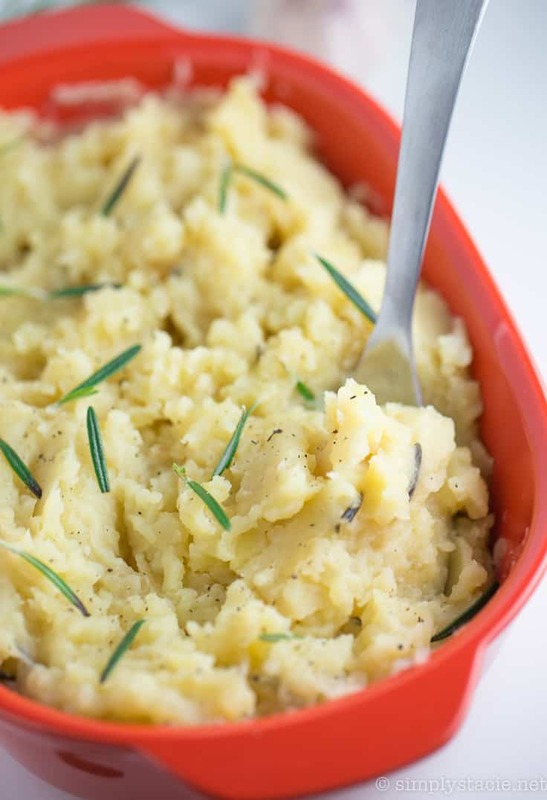 I love potatoes in any form but particularly love them mashed, I have done garlic mash before but will have to try it with rosemary as well as it sounds so good! I looove garlic mashed potatoes! This recipe looks delicious. 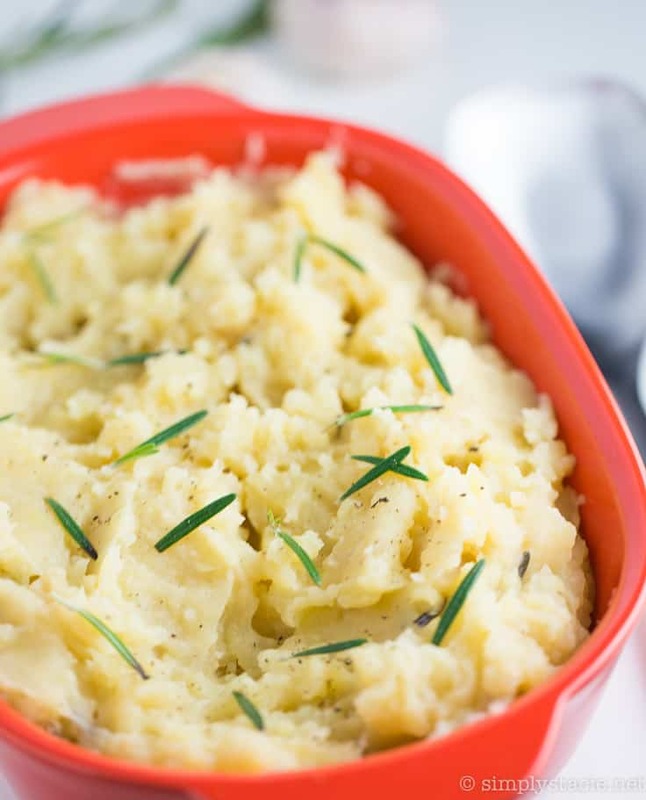 I’ve never made mashed potatoes in a slow cooker before but I’m always happy to find something new to try. The recipe says 1/4 butter … does that mean 1/4 stick? 1/4 cup? Oops typo! I fixed. It was 1/4 cup. I just love Rosemary this time of the year, your potatoes look awesome! Hope you are having a great day and thanks so much for sharing with Full Plate Thursday. This recipe looks really good and I would love to try it. I love what ingredients you use.